Regional and urban economics, effects of public policy on the location of economic activity. Professor Yezer is a member of the Department of Economics of The George Washington University where he directs the Center for Economic Research. He teaches courses in regional economics, urban economics, and the economics of crime. He has been a Fellow of the Homer Hoyt School of Advanced Studies in Real Estate and Urban Economics since 1991. 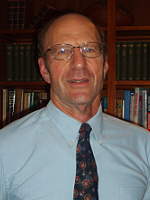 Although his research has concentrated on urban and regional economics, he has worked on a number of other areas where microeconomic theory is applied including: interregional migration, mortgage lending and credit risk measurement, economic effects of natural disasters, optimal city size, spatial competition, spatial voting models, interarea rent and price indexes, endogenous diversity in cities, and, most recently, the energy footprint of cities. He served as an expert witness for the Federal Trade Commission testifying in connection with the trade regulation rules governing Consumer Credit Practices and Health Spas and testified before Congress on issues related to credit market regulation and subprime mortgage lending. He recently served on the National Research Council's Panel on Disaster Research Needs in the Social Sciences. He currently serves on the editorial boards of five journals and is editor of the American Real Estate and Urban Economics Association monograph series. In his spare time, he enjoys golf, tennis and gardening. Professor Yezer received a Bachelor's degree from Dartmouth College, continued his studies at the London School of Economics and Political Science where he earned an M.Sc. degree, and holds a Doctoral degree from the Massachusetts Institute of Technology. He was Rhodes Scholarship finalist and received a National Collegiate Athletic Association Scholar-Athlete Fellowship.